Bright and cheerful, cozy, well-equipped, north-facing, indoor-outdoor flow. Enjoy barbeques under the shade sail on large deck. Garden setting, in the heart of Coopers Beach. Shopping center with essential amenities diagonally across the road. One minute walk to safe, sandy beach - swimming, kayaking, children's playground, fishing off the beach or rocks in the coves. Two kilometers of picturesque pohutukawa shore line, access to Conservation Department Reserve and easy walking to Pa Site and Mill Bay. Five minute drive to historic Mangonui Village with "The" Fish and Chip shop, cafes, restaurants and bars. 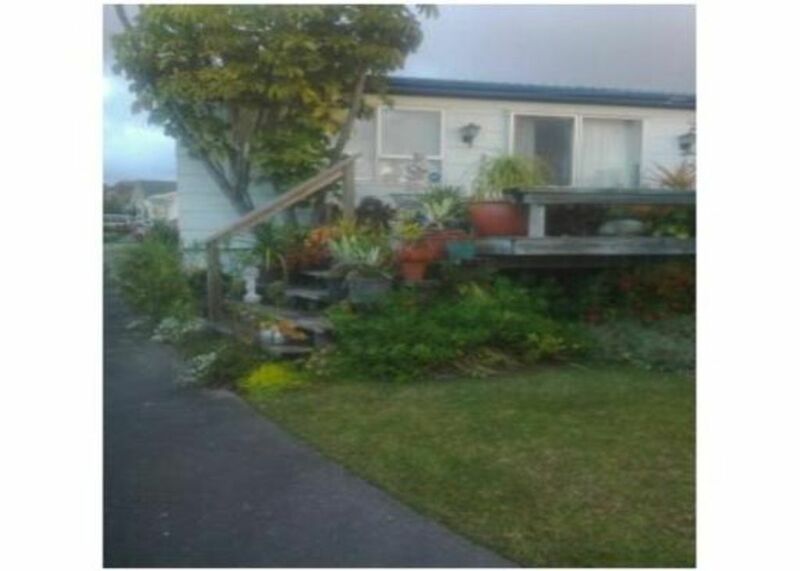 Go to HiHi Beach (10 minutes), Kari Kari Peninsula (Carrington Golf Course and Winery), Matai Bay, Taupo Bay or Whangaroa Harbour, all within 35 minutes traveling time. Make day trips to Cape Reinga, North Cape, 90 Mile Beach, Kauri Kingdom or Shipwreck Bay; Kauri Forests and the Hokianga Harbour to the South or Keri Keri and the Bay of Islands (Paihia, Russel and Waitangi) in the east. Great spot to stay just over the road from the amazing Cooper's Beach. Look forward to visiting again. We had a lovely stay in this comfortable well equipped holiday home. It was a couple of minutes to the beach or to the very good shops and supermarket. The deck area with comfortable chairs and table are well screened on hot days The owner is a lovely friendly lady who checked that we had all we needed. Thoroughly recommend this house! The best bach I’ve ever stayed at! The bach was immaculate and had everything we needed and more. So good to have bedding and towels provided. Handy for the beach and amenities in Cooper’s Beach. Gay was very attentive, helpful and friendly. We will be back. Very clean, great for a family of four. What a lovely place to stay with our two kids. If cleanliness is your thing, then this is the place for you. Ultra clean, two bedrooms and everything you need for a fun family holiday. Shops, beach and park are just across the road, very convenient. Highly reccomend this bach. Loved the Bach. Great facilities, well maintained. Location is excellent. Nice, friendly owner. Will definitely be back! Value for Money. Excellent little Bach. The Bach was fully equipped with everything that you need. Everything was clean and tidy and easily accessible. Would definitely use again. Thanks heaps. Note: To future people is that the driveway is a little tight for big vehicles.